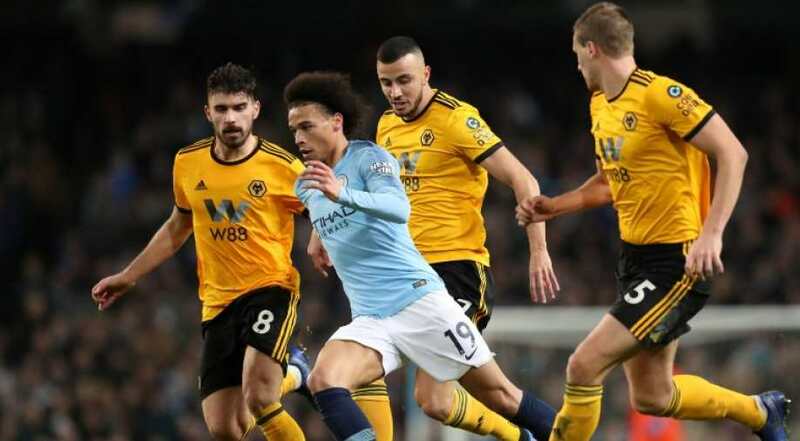 "We have played a lot of time with 10 against 11 and we should be more aggressive in our attacking play, but we have a lot of matches in our minds and our legs," City manager Pep Guardiola, perhaps disappointed not to boost his side's goals tally further, said "We were solid and didn't give away many chances so it is three points to keep the pressure on the team at the top." "The red card makes the task much harder. You know it is difficult to stop them but you try to avoid certain situations and it was a 30-yard pass so we must improve. But you do not make a game plan with one less man."